There’s usually one key reason for diving in Guadalupe – and that’s to see the mighty great white sharks. 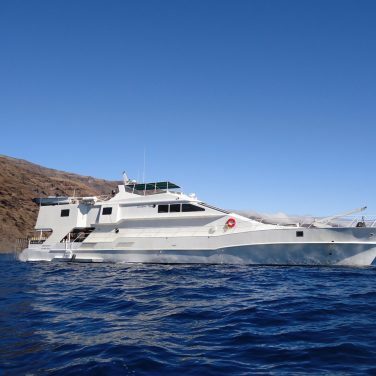 A Guadalupe Island liveaboard is the only way you can get to dive this region of Mexico. The volcanic island of Guadalupe has some of the best shark cage diving in the world due to clear waters and consistent sightings. It’s important to realize that there are no other dive sites as such around Guadalupe. The dive locations are based on where the liveaboards lower their cages. 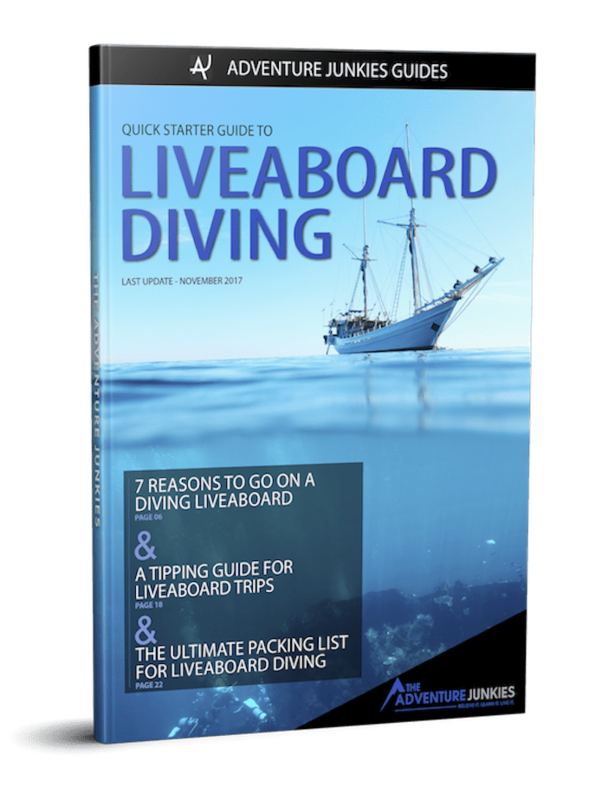 It’s not easy choosing a dive liveaboard, and it’s even more important to choose the right one for sighting great white sharks. 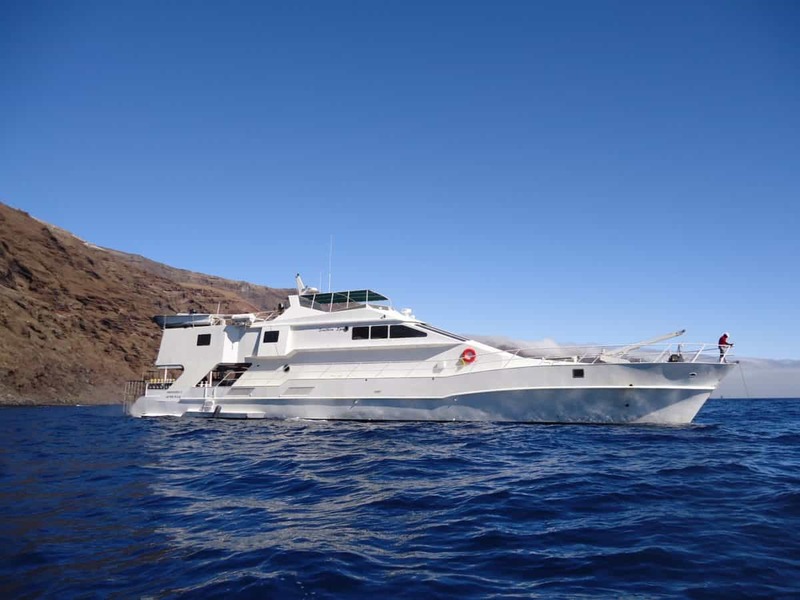 That’s why we’ve put together this guide of the best Guadalupe Island dive liveaboard boats and how to choose which one is best for you. 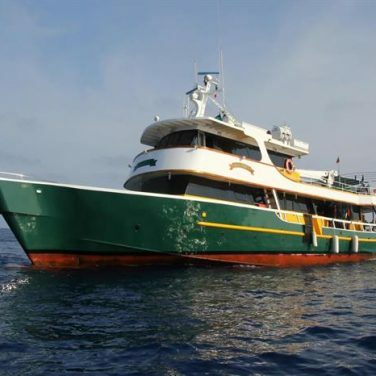 This 112 ft (37m) renovated boat has 12 cabins, catering for up to 22 guests. 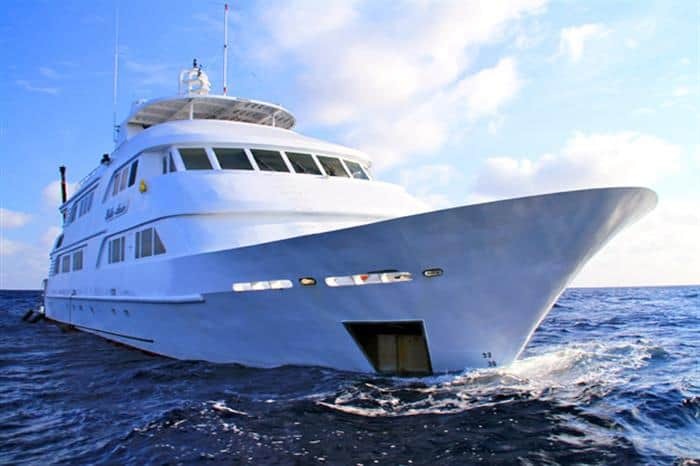 Dives include shark cage diving with the great whites, as well as scuba diving with humpback whales at the Socorro Islands, and the chance to dive with whale sharks and the Galapagos shark. 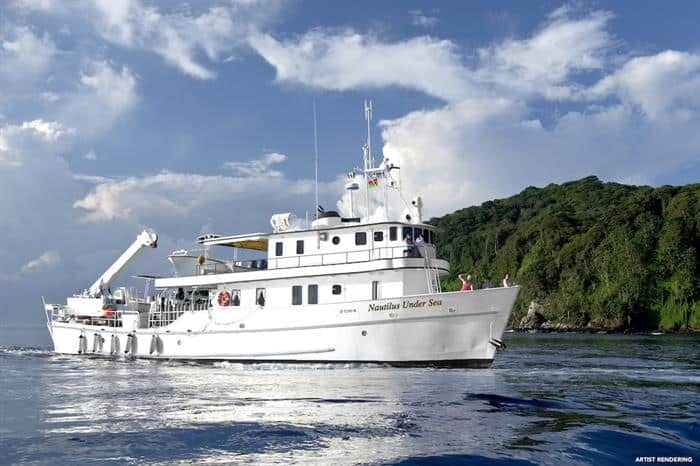 It’s the most experienced liveaboard in Mexico. The crew speaks English and Spanish. Nondiving activities include snorkeling, windsurfing and kayaking. Nitrox is available for a surcharge as well as nitrox certification. However, there’s no internet on board. With a dedicated camera station and separate camera rinse area, this boat is ideal for photographers. 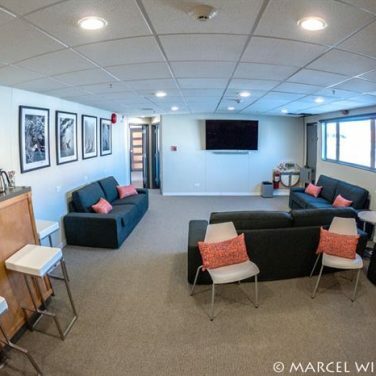 Nautilus Under Sea was built in the 1960s and used as a research vessel as well as being the support boat for the James Bond movie “License to Kill.” It was renovated in 2015 and now caters for up to 18 guests with eight cabins, all with an ensuite and air conditioning. 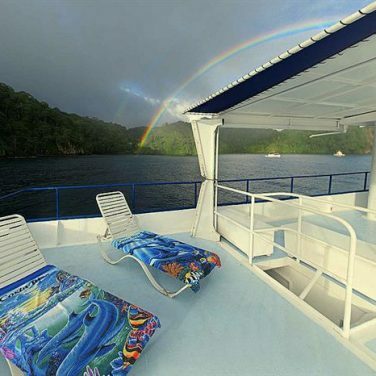 It has a spacious dive deck and camera set-up area. When not shark cage diving in Guadalupe, Nautilus Under Sea takes divers to Socorro, with the chance of diving with up to ten different kinds of shark and humpback whales. The vessel runs trips from July to November. Nitrox and the Internet are available for a surcharge. 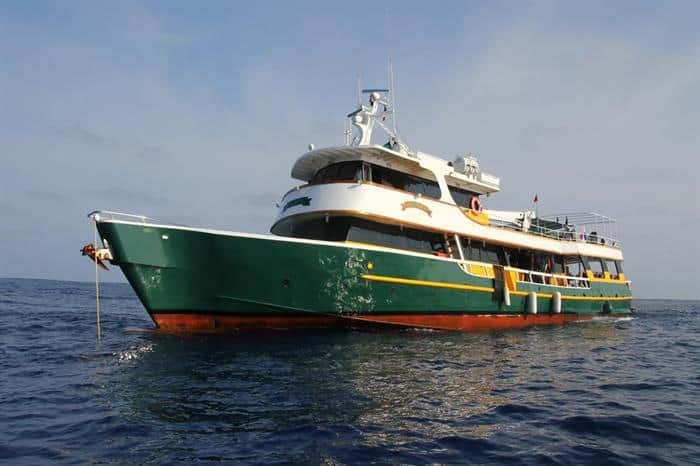 This 115 ft (35m) luxury liveaboard was renovated in 2007 as a dive boat. 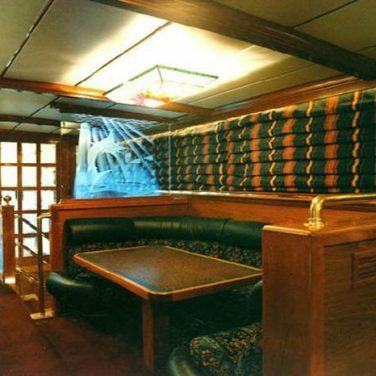 It can accommodate up to 18 guests in nine cabins, some with ensuites. 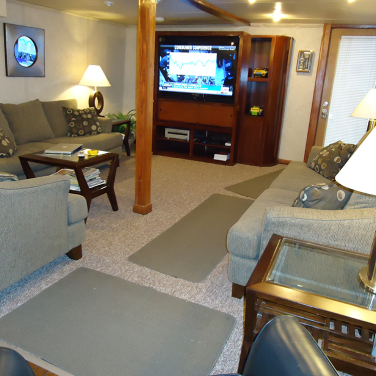 All cabins are air-conditioned and there’s an air-conditioned salon too for guests to mix, mingle and dine. 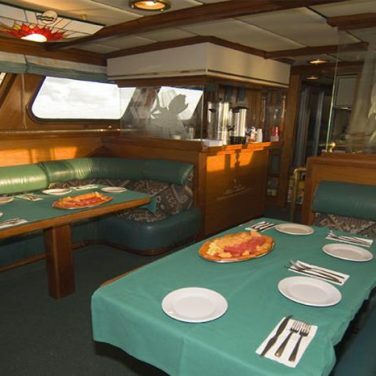 The vessel is also equipped with a professional barbecue, and a sun deck with shaded areas. As well as shark cage diving, expect to see other big species on its journey to Socorro. Nitrox is available for an additional charge, but there’s no internet. The crew speaks Spanish and English. 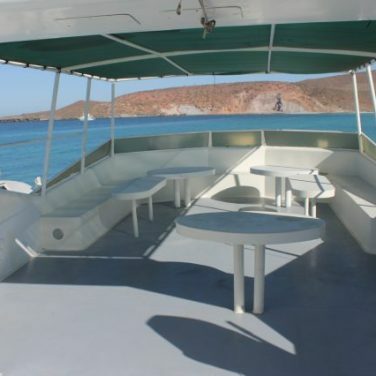 The Nautilus Belle Amie is a custom-built 134 ft (41m) dive boat servicing Guadalupe and Socorro. 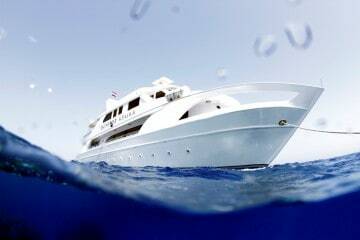 It has 17 air-conditioned and ensuite cabins, accommodation up to 30 divers. 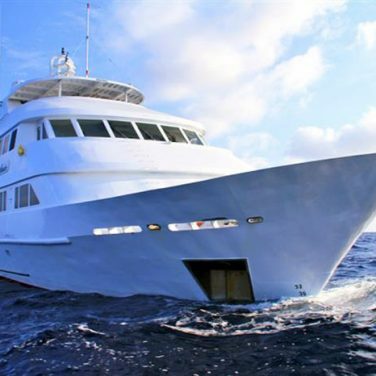 This large and spacious vessel has both internet and nitrox diving available for a fee. There are both indoor and outdoor dining and relaxing areas as well as a hot tub for the ultimate post-dive relaxation. The Belle Amie has onboard kayaks for those wanting another activity when not diving as well as snorkeling. 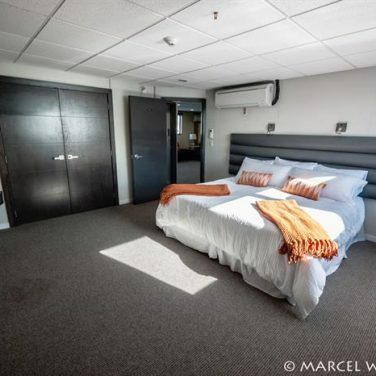 There’s a separate rinse station for underwater cameras and a charging station, allowing you to stay connected at all times – ideal if you are a freelancer. 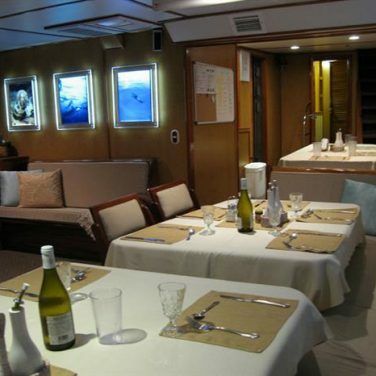 The vessel can also take private charters, accommodating up to 36 guests. 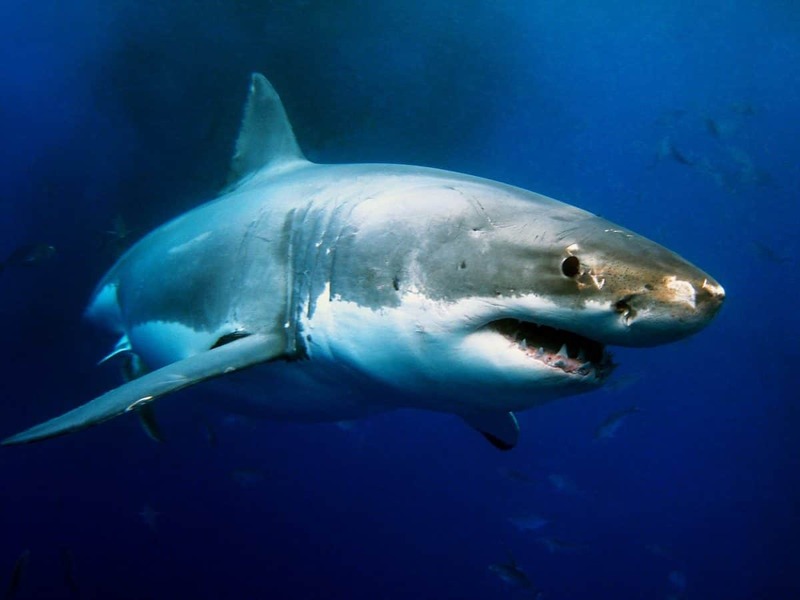 The season for great white sharks in Guadalupe is from August to October. 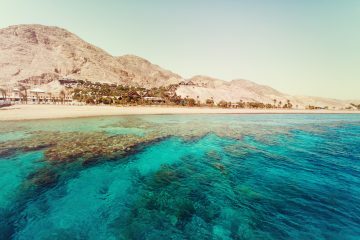 During those months, the ocean is calm and the sea temperature is slightly cooler at 66 to 72°F (19°C to 22°C). Fur seals, tuna and sea lions are also more likely to be spotted during those months. Since Guadalupe is solely a shark dive area, dive liveaboards tend to head to Socorro for more dive opportunities. 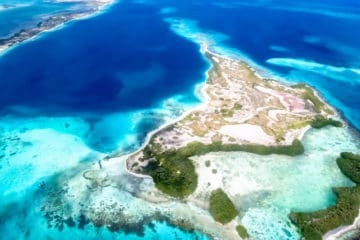 In Socorro, you’re likely to other big species such as whale sharks, hammerhead sharks, manta rays, dolphins and even humpback whales, which arrive from January to April. 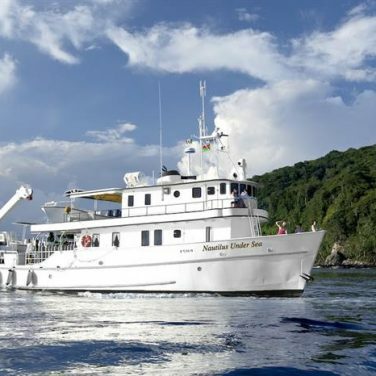 If staying connected during your trip is crucial to either your job or your social life, then be sure to choose a dive liveaboard which offers wifi. Expect to pay a surcharge for the Internet. Outside of cage diving with great white sharks, liveaboard guests can spot seals, sea lions and sharks from the ship in their topside intervals. If you like bird watching, you might be able to spot the endemic Guadalupe rock wrens and Guadalupe house finch. 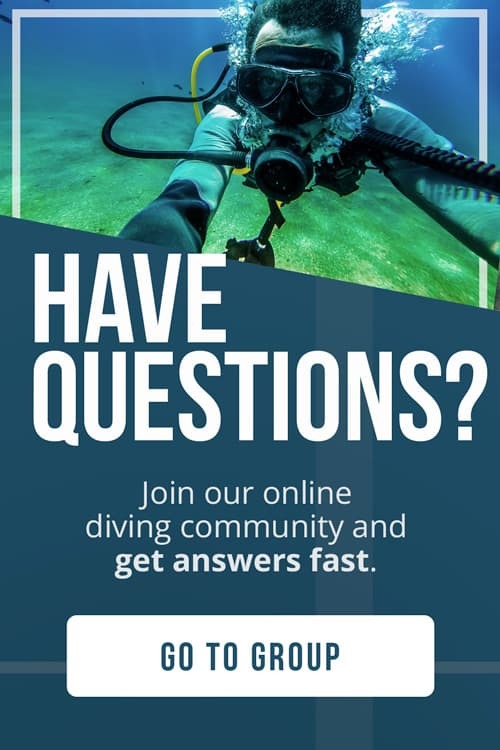 Do you like small, intimidate dive experiences or prefer to be in a larger group? Some boats cater for smaller numbers for a more private experience, while other boats have a larger number of guests, including non-divers, so it’s about personal preference. Typically, the smaller the boat, the more luxurious the cabins. There’s a great deal of controversy over shark cage diving around the world, stemming from fears it’s changing shark behavior. However, when done well, shark cage diving can provide a great educational opportunity about these often misunderstood giants of the sea. These days, baiting over a shark dive cage is strictly prohibited, but operators will bait/chum the sides of the boat to attract the sharks. The nature of these types of operations means they come with a certain amount of risk – and Guadalupe is sadly not immune to the odd shark cage diving controversy. We’ve chosen not to include one particular operator in our list due to their involvement in a couple of recent incidents, which put both the divers and the sharks at risk. It’s always important to understand the process of shark cage diving so you know what to expect and what behaviors are unacceptable.